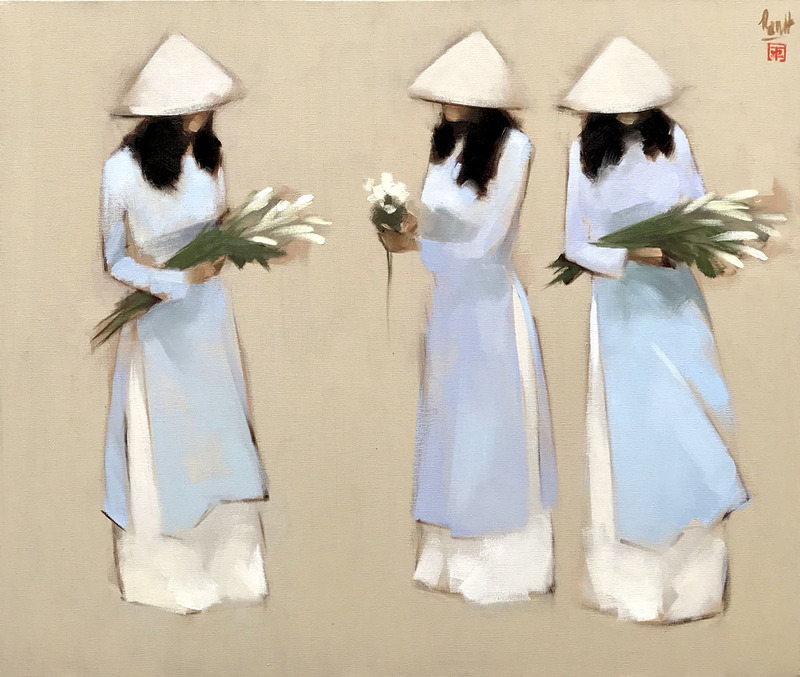 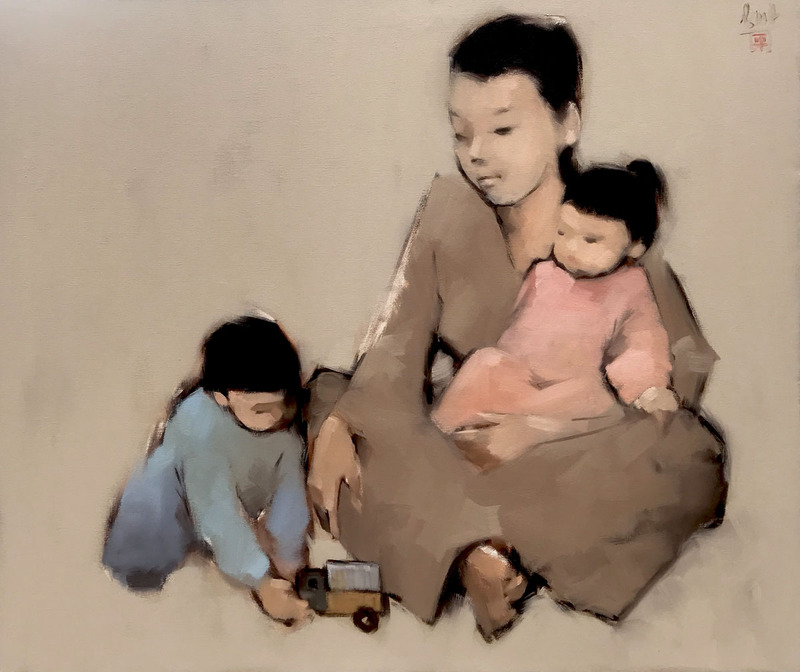 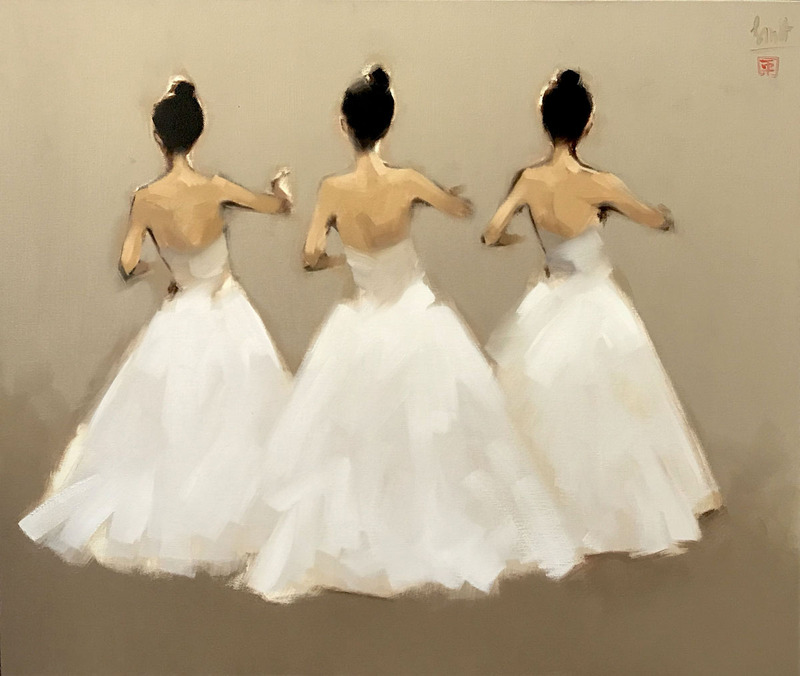 By this painting, done in liberating, expressive technique, contemporary Asian artist Nguyen Thanh Binh expresses his fascination with the elegant AoDai silhouette, which symbolizes national identity and perception of femininity. 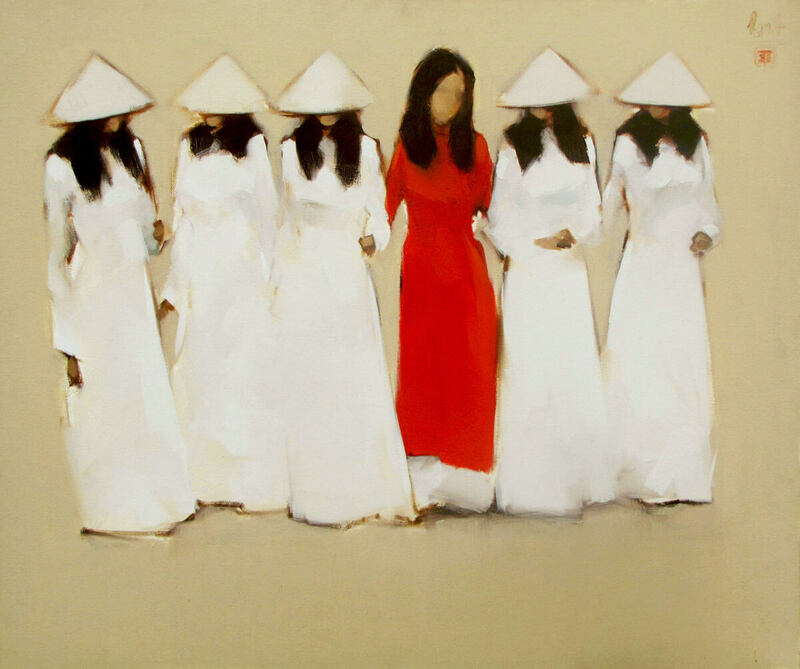 The school girls in white AoDais with a lone one in red, makes the piece striking. 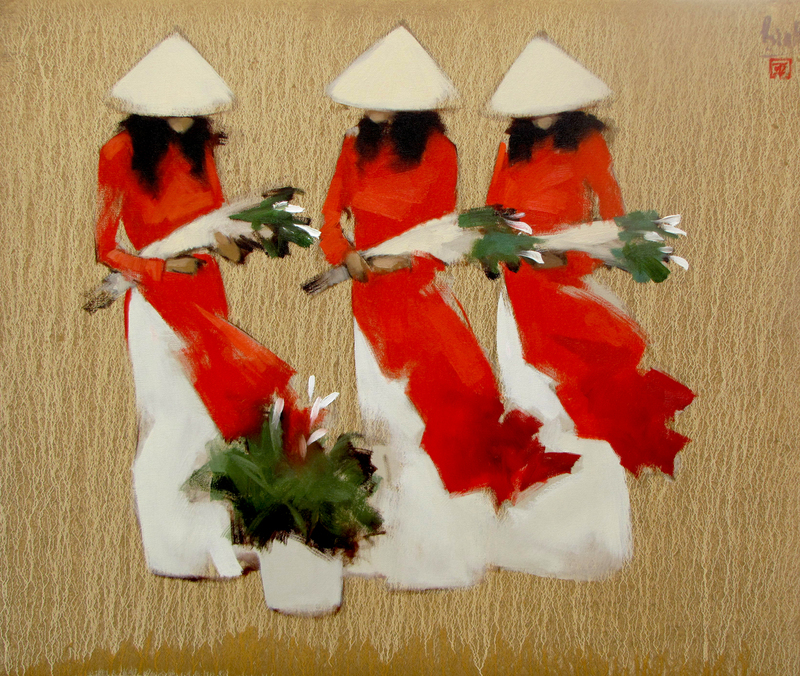 The simplicity of the composition is very attractive aesthetically.